If you've exported a report out of WizeHive only to find characters such as ‰Ûª, it means that your report contains special characters, such as apostrophes, opening quotation marks, or letters in other alphabets that have accents or tildes. In order to avoid characters converting like this, we can open the reports in Google Sheets/Google Drive first before opening them in Excel. Follow the steps below in order to accomplish this. From the Reports tab of your workspace, click Export. Have the report download but do not open it. 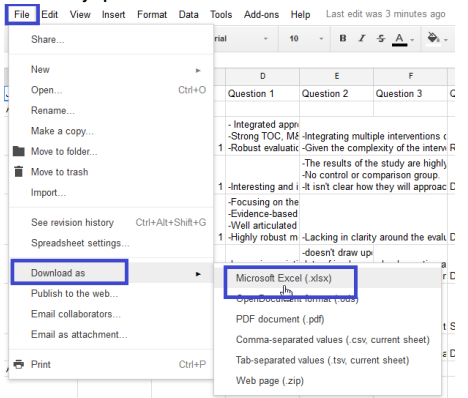 After loading the files into Drive, right click on an individual report and Open with Google Sheets. Google Sheets will automatically convert all special characters. Once you have saved it as .xls or .xlsx, you can now open the file in Excel with all the characters converted.